June 25 is the day to properly dispose of unwanted household hazardous materials in Bay County. Some household hazardous materials can contaminate of groundwater, well water, or other water sources when spilled on the ground, poured down the drain, or placed in trash containers. The county is holding a Household Hazardous Material Collection and Disposal Program on June 25. The program is free, and sponsored by the Dow Chemical Co. Foundation and the Bay County Health Department. The collections will be held in Bay City and Pinconning. But you must call ahead first to schedule a drop-off. The number is 895-4006. Acceptable items include battery acid, drain cleaner, weed killer and oil-based paint. Some materials are not accepted. To schedule a time to drop off your materials, or for more information, call 895-4006. 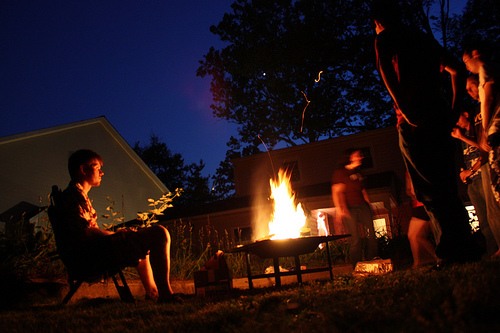 June 25 also is time for the Great American Backyard Campout. The National Wildlife Federation event encourages parents and kids to skip the TV or computer and spend a night under the stars. Studies show that the Average American child spends more than seven hours per day in front of electronic media. Studies also show that outdoor time helps children grow lean and strong, enhances creativity and attention spans, decreases aggression, and boosts classroom performance, according to NWF. For the event, you can camp in your backyard, organize a campout, or join other organized campouts. You can log on to backyardcampout.org for more information. The site includes recipes, nocturnal wildlife guides, campfire songs and games, nature activities and more.